With the current affordable housing shortage in many areas of the United States, it’s no surprise that buyers are looking for low-cost alternatives to traditional housing options. Trendy tiny homes are the new flavor of the month — from home living magazines to lifestyle channels on television and stories of low-impact and affordable housing. Everywhere, we’re seeing an increase in popularity of the “idea” of the tiny home. But the idea of living in a tiny home can be affected by local building and zoning regulations, building codes and standards and land use restrictions. As a real estate agent, you need to be aware of the basic issues around this popular, new mode of housing – especially if you’re selling land. Tiny homes are typically around 100 – 400 square feet, but there’s no set formula for a tiny home. Where your potential buyers can live in a tiny home depends upon local city, county and state zoning regulations, as well as building codes. Local minimum square feet requirements for newly-constructed homes are the major barrier for the tiny home movement. 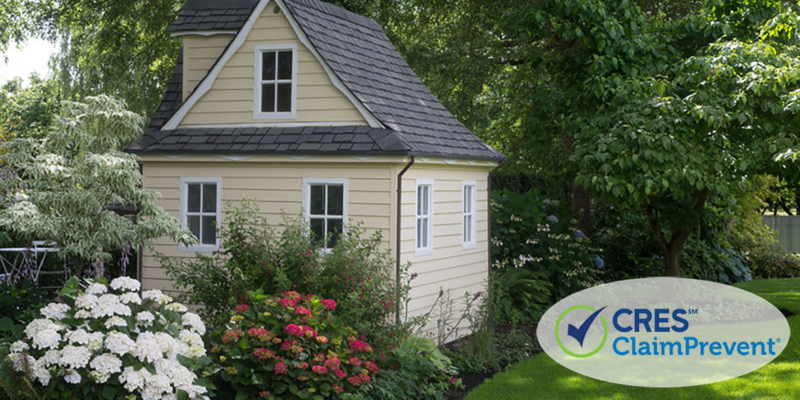 These minimum requirements often mean a tiny home cannot comply with mandatory regulations. Cities are slow to adjust these regulations, but some progress in this area has occurred in recent years. For example, Walsenburg in Colorado was the first city to change their land use codes in 2014, to allow tiny homes on residential lots. El Paso County also agreed late last year to allow tiny homes to be built in unincorporated areas. You can also access codes online for most states via the American Legal Service Publishing Corporation or visit your local city, county or state website for further information. To circumvent the red tape associated with building tiny homes on foundations, many minimalist home-buyers have decided to build their tiny homes on trailers instead. However, local governments have restrictions around length of stay for camping or parking. And utility connections can be another issue. Tiny house communities are also starting to pop up across America. Typically, in these communities, residents rent the land on which their tiny homes are established. The tiny house communities trend is a result of the great many barriers tiny home-buyers face when wanting to build on private land — either in the backyard of another residence or on their own privately-owned land. If a tiny home is sold — does this include the land as well? Is there a right of way easement? It’s a complex situation which is dependent very much on government requirements in the local area. As a real estate agent, your clients may ask about the pros, cons, and requirements of tiny homes. Whether they’d like to build a tiny home on vacant land or in a backyard of a property they plan to purchase, each situation is unique. In all cases, the best advice you can give is to refer clients to relevant government authorities to check on local regulations, building and fire codes. Encourage them to research the potential long-term impacts and obtain independent legal advice when it comes to multiple units on the same lot. Put your recommendations in writing and keep a copy in the client’s file. You want to avoid giving advice on tiny homes, as the regulatory landscape is changing and evolving. Saying the wrong thing, even inadvertently, could lead to a lawsuit, and this puts your real estate business at risk. Be sure to protect your business with CRES Real Estate E & O + ClaimPrevent®. With access to legal expertise 7 days a week at no extra charge if you do face an issue, CRES will be there to help you through the process. Have you had any inquiries from clients about tiny homes? Do you think the tiny house market will grow in the future? Comment below and join the conversation.